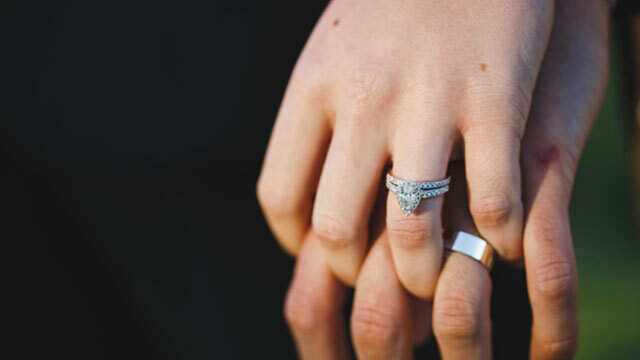 Whether the engagement ring is a surprise for your future bride or you’ve talked together about this symbol of your future, shopping for a ring can seem kind of complicated. Our Free Diamond Guide can give you a grounding in ring-speak, style trends, and the importance of the 4 C’s, Cut, Colour, Clarity and Carat weight. The next step is finding a jeweller you can trust. Paradise Jewellers in the longest established family jeweller on the Gold Coast so you can feel confident you are in safe hands. You then need to think about engagement ring basics, like white, yellow or rose gold or platinum, the gem, whether it be a diamond or semi precious gemstone and the shape and colour. Even if you’re having a ring custom made, ask to see existing rings that kind of fit the bill. This’ll help you narrow down styles, whether traditional, vintage, classic, contemporary, understated or bold. One which will become your unique design and timeless for you. With your budget in mind, go more in-depth about the 4 C’s of Cut, Colour, Clarity and Carats weight. Some of these may be more important to the two of you than others. Finally, find out about the gem you’ve chosen. Where is it sourced? Has it been graded by an independent and accredited lab? If the ring will be a surprise, ask the jeweller for help in sizing the engagement ring and if they’ll resize if necessary. Read our blog about how to choose the perfect surprise ring she’ll love. In the end, buying an engagement ring for your beloved should be as simple as finding a jeweller who will help find a ring your beloved loves. Let us help you create the dream engagement ring. Come into our Pacific Fair Boutique for a free Engagement Ring Consultation. Contact us now.